Human study identifies definitive biomarker for liver disease breath test. In the UK liver disease has risen sharply over the past few decades and is the third biggest cause of premature mortality, with three quarters of liver deaths due to alcohol. Patients do not often present with symptoms until the disease is advanced. Even then diagnosis is difficult and the symptoms and signs are often general and can be mistaken for other pathologies. For advanced cirrhosis liver transplant is the only treatment. Now, a study from researchers at the University of Birmingham has found that a natural compound called limonene, which is found in oranges and lemons, could be indicative in early-stage diagnosis of liver disease. The opensource study is published in the journal EBioMedicine. Previous studies show that Limonene occurs in the greatest abundance in citrus fruits, however, it is also found in a large variety of other fruit and vegetables. It can be ingested or inhaled as it is a common additive in commercial food and drinks, is used to give the fruit flavour to some sweets and is used in cosmetics, perfumes and cleaning products. The current study was carried out in two phases, breath samples from a group of 31 patients suffering from cirrhosis were first compared with a healthy control group. Then pre-transplant samples of the liver disease sufferers were compared with a sub-cohort of 11 patients who went on to have a liver transplant. When the patients were tested before transplant surgery, the level of limonene in the breath was found to be very high, higher than that of a healthy person. The data findings showed that this resulted from patients being unable to fully metabolize limonene. 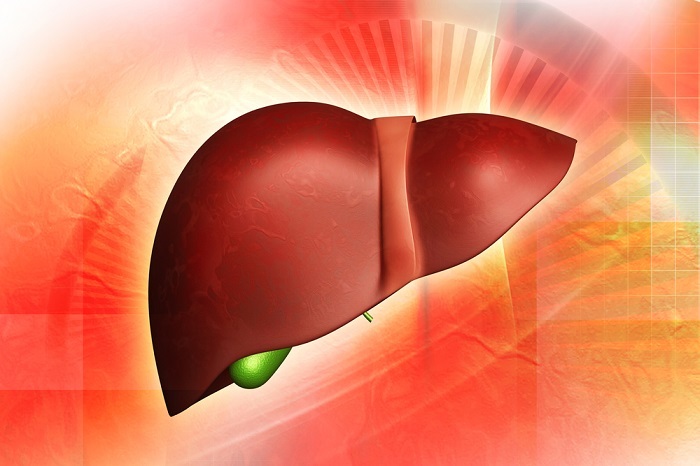 When the same patients who had received a new liver were tested again, the results showed that the limonene levels gradually dropped over several days. The researchers hypothesized that the unmetabolized limonene had been stored in the body fat of people suffering with cirrhosis. To carry out the current study, the patients and control group were asked to provide breath samples, which were collected using a breath sampling protocol developed by the lab. The breath samples were then injected into a highly sensitive analytical instrument that measures the intensities of ‘aroma molecules’ or molecules that give rise to the experience of smell. The team explain that earlier studies have found potential biomarkers for liver disease, such as isoprene and acetone, however, they are not specific enough because they are possible biomarkers for other diseases or can arise from numerous normal metabolic processes. Therefore, they wanted to find a biomarker that is unambiguously associated with a diseased human liver. The lab state that they already knew that people with liver disease have a very distinct smell on the breath and they wanted to find out what caused that smell. They go on to add that now that they have found a biomarker for the disease in limonene, they plan to continue to verify how good it is for diagnosing liver disease. The team state that that to their knowledge the work provides for the first time a potential pathway for non-invasive real-time detection of early-stage cirrhosis. If that is possible, then the group foresee the disease being reversed by drugs and lifestyle change which would lead to major socio-economic impacts. The team surmise that they have found a unique biomarker on the breath that correlates with liver disease, and the early trials are both persuasive and exciting. They conclude that they have confidence that more research will add to the statistical significance of the results, and they now aim to develop a cost-effective commercial means of delivering this diagnostic tool. The researchers are now seeking additional funding to continue this research programme to evaluate the diagnostic accuracy of breath volatile analysis for early stage cirrhosis.